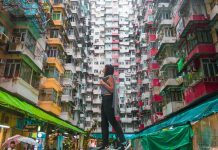 Fill your bellies with milk tea and egg tarts, hike through lush vegetation, while learning the Hakka and fishing culture of Hong Kong in this 7 day Hong Kong itinerary that will show you a different side of the country. Dim sum. Siu Ngo (Roast Goose). Nai Cha (Milk Tea) — salivating at the thought of all the food, my daydreams were interrupted when the team said “we’re going hiking on this trip”. 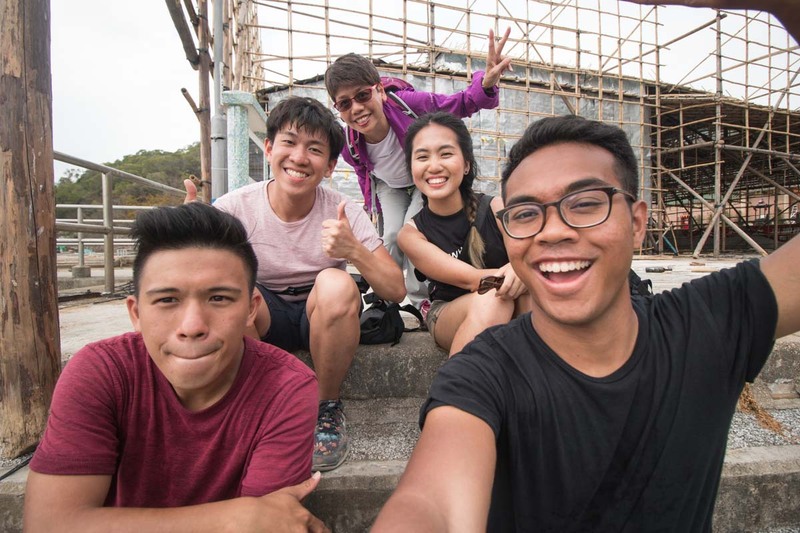 Hiking in the great outdoors might not be the first to mind when you think of Hong Kong, but with 70% of the country covered in greenery, we went out to explore a side of Hong Kong often overlooked. 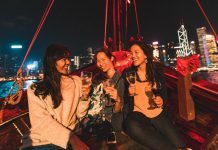 More than just a 买东西 吃东西 (eating and shopping) itinerary, we hope this will change the way you see Hong Kong! If you’re wondering what some of the outdoor places are like, check out the video below. Connectivity: There are many SIM card booths outside the airport’s arrival hall but we pre-ordered an 8-day SIM card with unlimited data for S$10. Airport to City Transfer: For public transport, there’s the Airport Express for HK$50 – 110, depending on the distance. It departs every 10 minutes and stops at 4 different station, Hong Kong Station, Kowloon Station, Tsing Yi Station and AsiaWorld-Expo Station. From there, you can transfer to an MTR. A taxi from HKIA to Kowloon City will cost about HK$250 – 400 (~S$40-65). If you’re going solo or travelling in a pair, there’s an airport shuttle bus service that will send you to your hotel in Kowloon or Hong Kong island for ~S$19. The cheapest alternative are the public buses but will take up more time since they make more stops. It costs about HK$31 to get to Central MTR Station on bus N11. Pro-tip: Get an Octopus card for MTR and bus rides. You can pre-order your Octopus Card for S$15.70 which comes preloaded with HK$50 (~S$8.35). Apart from MTR stations, you can reload the cards at other locations including 7-11 and Macdonalds. MTR: The Mass Transit Railway (MTR) system covers all major districts, and is an efficient way to get around. Taxi: Taxis are abundant in Hong Kong and you can hail one almost anywhere; but note that different coloured taxis serve different areas. The red taxis cover everywhere, green taxis are for New Territories and blue taxis are for Lantau Island. Tram: An alternative to exploring the city on foot, trams cost a flat fare of HK$2.30, regardless of the distance you travel. Hop on and grab a window seat on the upper deck for good street views! Buses: Buses are mostly air-conditioned and comfortable. 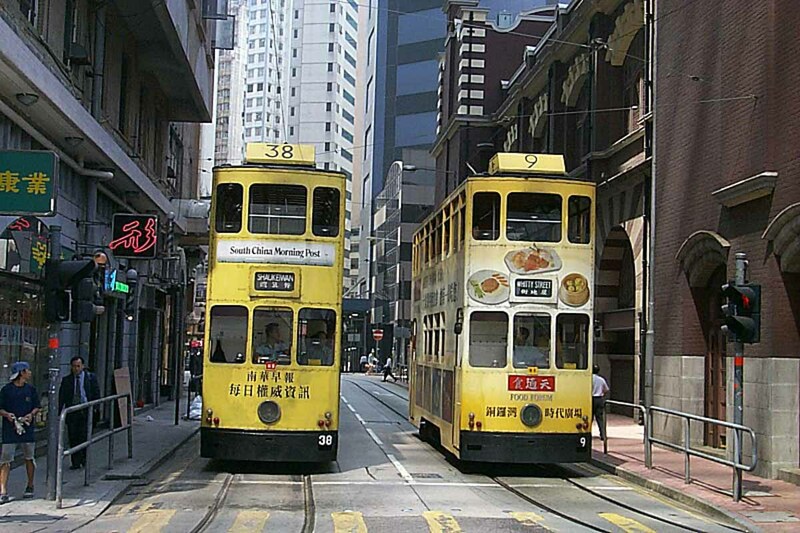 The routes cover most of Hong Kong, and fares are calculated based on distance. Minibuses: There are 2 types of minibuses in Hong Kong. The green ones operate along a fixed route while the red ones do not have a fixed route and passengers can hop on and off anytime. Exact change is required if you are paying by cash. 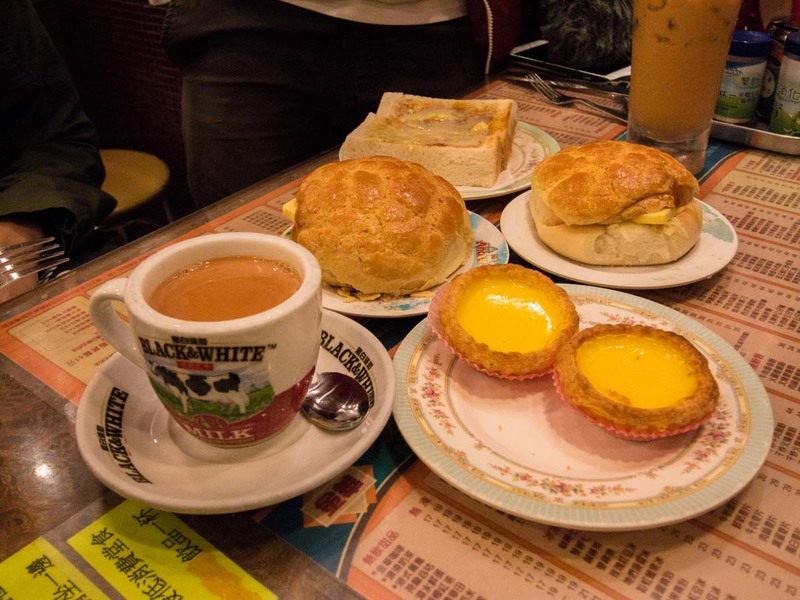 A trip to Hong Kong isn’t complete without the Cha Chaan Teng experience so first thing first, drop your bags and satify that tummy. 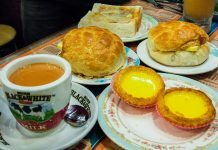 Located in Mongkok, grab a meal at Kam Wah Cafe & Bakery (金華冰廳), famous for their Bolo Bao (HK$10) and egg tarts (HK$5)! We visited a few cha chaan tengs during the trip and the eggs tarts from Kam Wah were definitely my favourite. 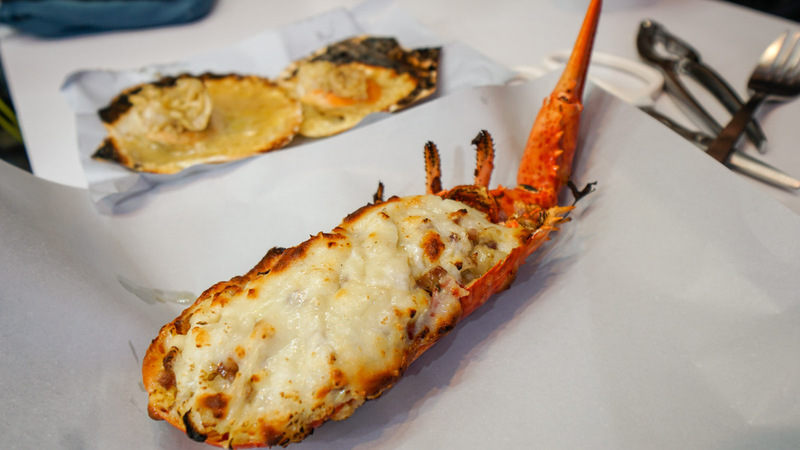 Check out our extensive Hong Kong food guide for 50 over best eats in Hong Kong! 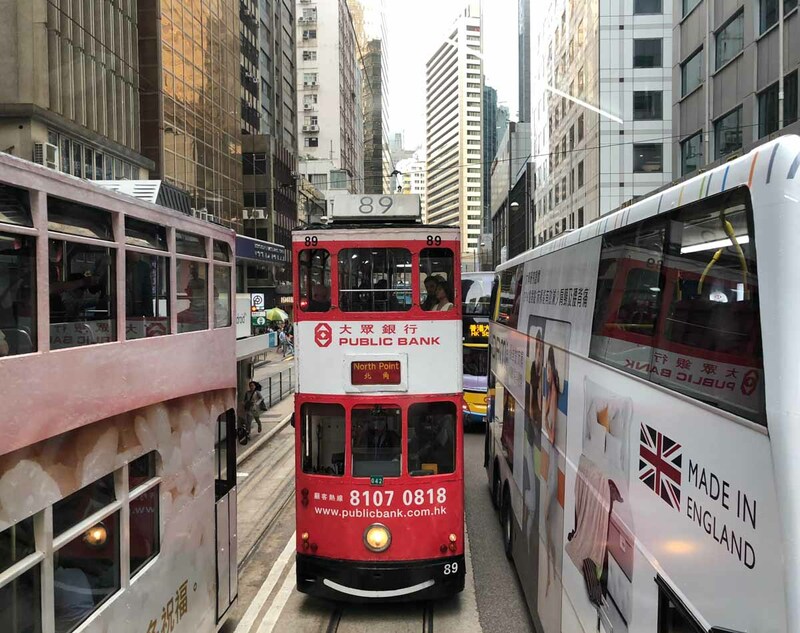 The tram — also known as Ding Ding — is a not only a form of commute for the locals, but has also become an icon of Hong Kong. With such an extensive network of trams, this transport system is one of the best ways to see the city (super cheap to boot)! You can even access an interactive map on the iDiscover Ding Ding mobile app to plan your route. The central pier is where many come to take ferries, mostly to the outlying islands of Hong Kong but is also a good photo spot. Although you might not be able to clearly see the sunset due to the skyscrappers, this is still a good spot to chill and watch the colours of the sky change. Despite being a non-fan of duck skin, the duck at Wai Kee Duck Rice (清真惠記) might just be one of the best I have tasted. The skin was crispy, not too oily, and it complemented the duck meat really well. This no frills stall may not look fancy, but I definitely would return for another plate of duck rice. If you have time, take the tram around again at night as the night experience is different! 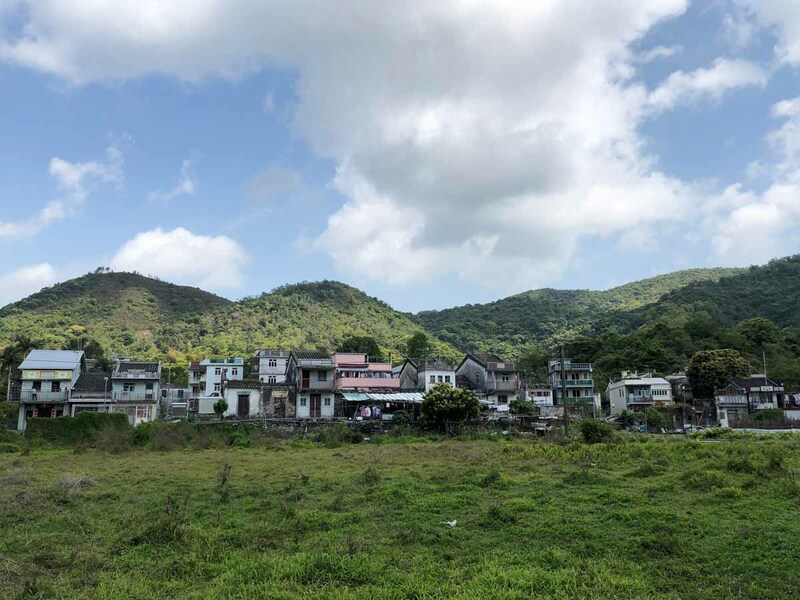 Located in Plover Cove Country Park, Lai Chi Wo (荔枝窩) used to be an affluent village but most residents have left, with only some returning on the weekends or during the holidays. The trail takes you through the various, now abandoned Hakka villages that were once thriving around the area. 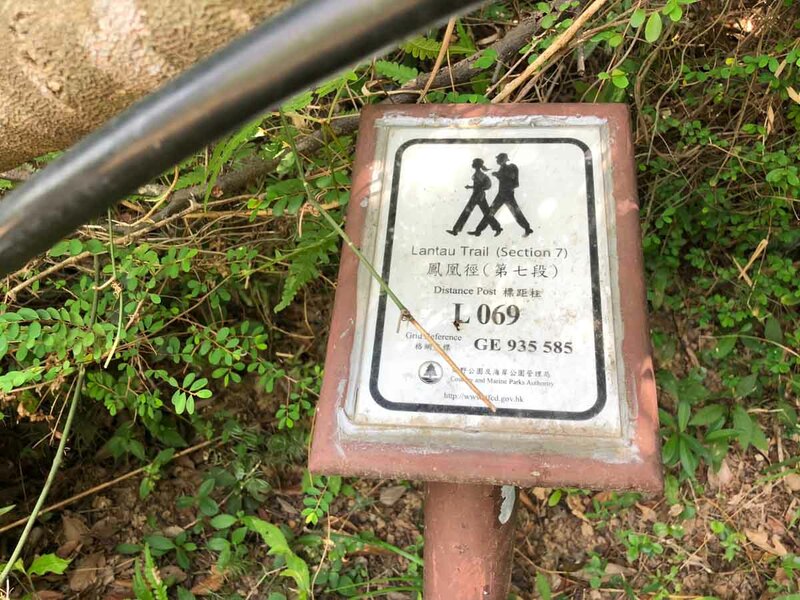 You can start this 2-hour hike from Wu Kau Tang and make your way to Lai Chi Wo via Sam A Tsuen. Spot traces of human life amongst the abandoned buildings that are now surrounded by lush vegetation. Take an MTR to Tai Po market and then a taxi to Wu Kau Tang, which will cost around HKD130. Public buses to Wu Kau Tang only operate on public holidays. After 2 hours of trekking, take a pitstop at Sam A Tsuen (三椏村) and fuel up at Fook Lee Tea House (福利茶室). 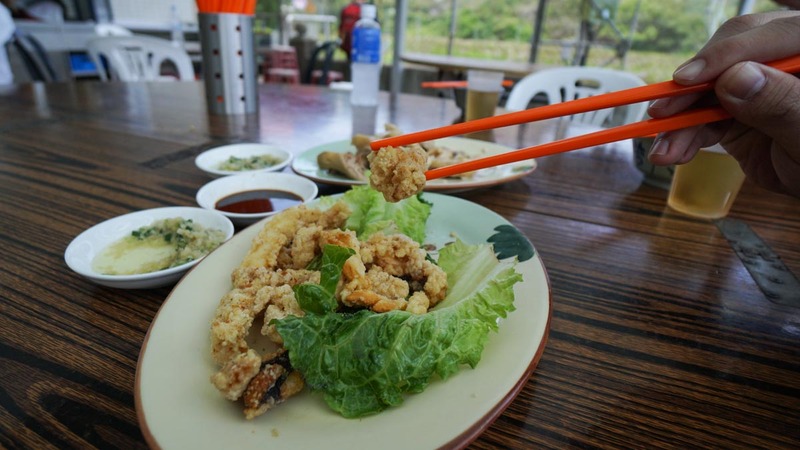 They serve amazing local dishes and a must try here is the fried squid. Do note that the tea house is only open on Fridays and Saturdays or when there are bookings. You can make a booking by calling them at +852 2679 9421 if you decide to head over yourself. 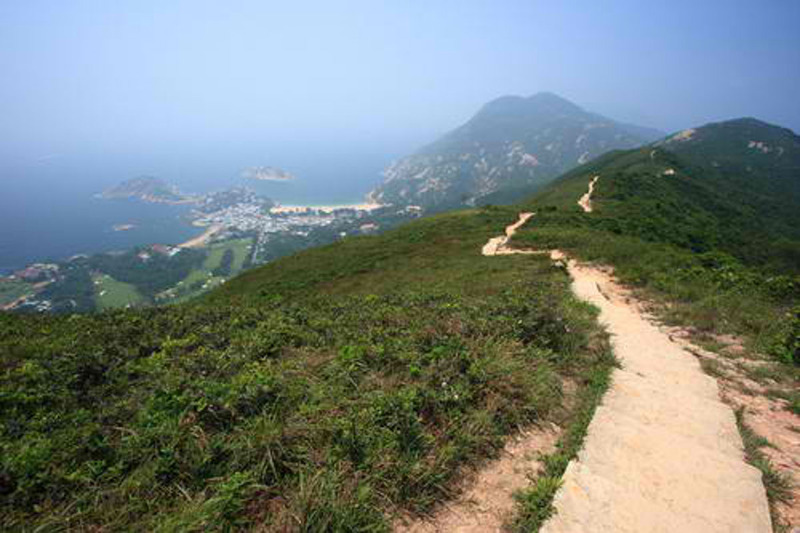 One can cover the hike at Lai Chi Wo between approximately 45 minutes to an hour. There are a total 211 houses at Lai Chi Wo, including 3 ancestral halls. 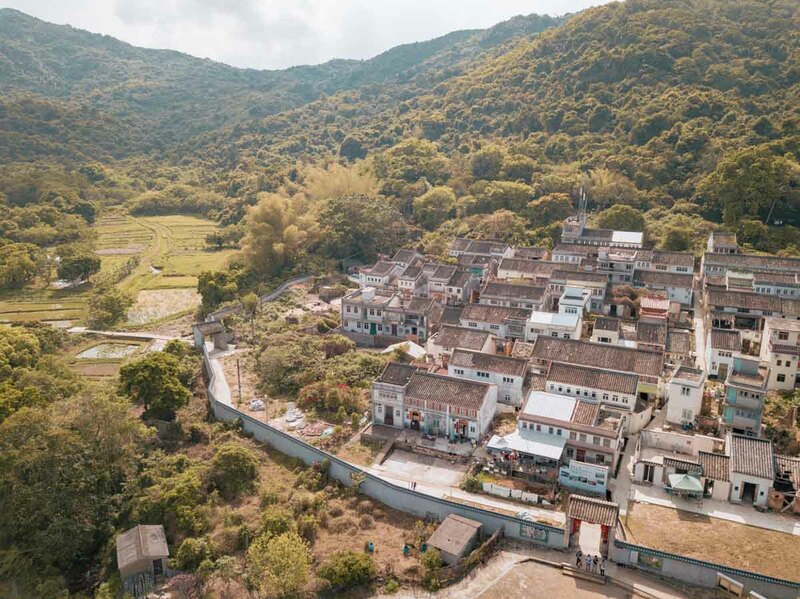 Behind this walled village is the Lai Chi Wo special area, also known as the Lai Chi Wo Fung Shui Woodland. The woodland not only serves as a natural barrier to occurrences such as landslides that may happen due to heavy downpour, but is also believed to bring good luck to the town. After a short exploration of Lai Chi Wo, the tour ended with a boat ride back to Ma Liu Shui Pier which is near the University MTR Station. The area has limited connection and it might be pretty hard to get around without Google Maps. We explored Lai Chi Wo with a guided hike, and everything was arranged for us including transport and lunch. Remember to bring along supplies as there are only a few stalls in Sam A Tsuen and almost no water/food available along the trail. A small shop with only about 10 tables, Chiu Hing Noodle House was one of our favourites during the trip. 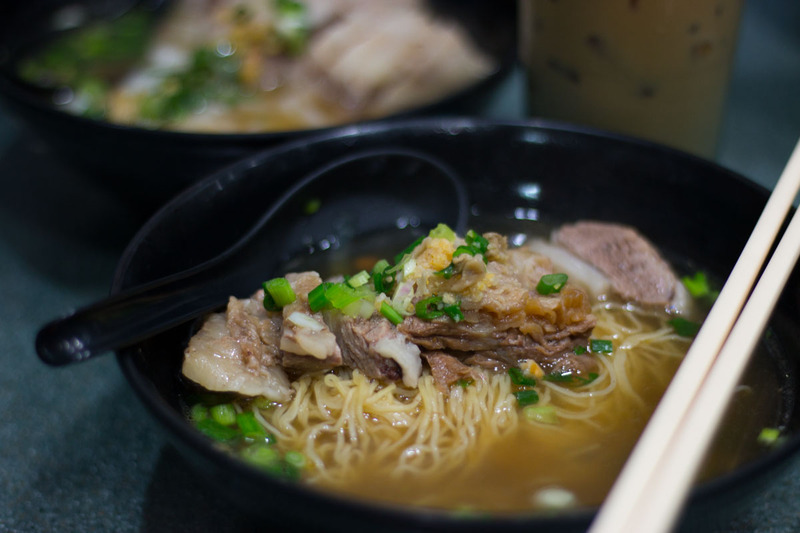 This shop has a great variety of noodles, but a must try here is the special beef brisket. *Pro-tip: Order a drink together with your noodles for only an additional HK$10, instead of the usual price of HK$39 for a drink. Lantau is the biggest outlying island in Hong Kong. You may be familiar with Lantau being the home of Hong Kong’s Disneyland but there’s actually so much more to this beautiful island! Sandy beaches, shopping malls and Buddhist architecture, Lantau has everything you could be looking for! There are many off the beaten path areas to explore, so we went on a Lantau South Tour that included a pick-up from Tung Chung MTR Station, lunch and a knowledgeable guide. The trail is marked with these signs to show you your exact location in case you ever get lost. You can call the emergency helpline and tell them the coordinates on the sign. 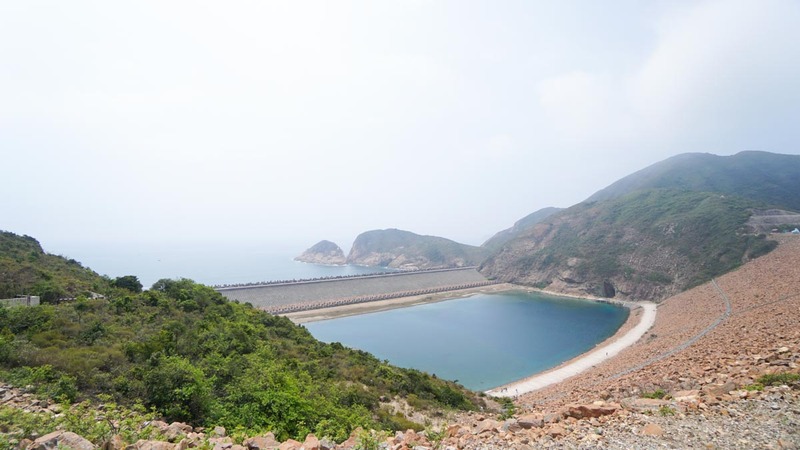 This 70 kilometre loop trail starts and ends at Mui Wo. The trail is well facilitated, with markers every 500 meters and many information boards along the way. On our day trip out to Lantau Island (大嶼山), we started our hike at section 7 of Lantau Trail (鳳凰徑) and trekked all the way to Yi O farm. There are specific camping spots along the trail in close proximity to water sources — fresh water rivers. However, do not rely on the rivers for water, especially in the warmer months as the rivers will most probably be dried up. We dropped by Yi O (二澳) as a pitshop for lunch during our day trip, where the locals prepared a scrumptious meal for us. After lunch, we headed to the farm to get our hands dirty with some simple farming activity. 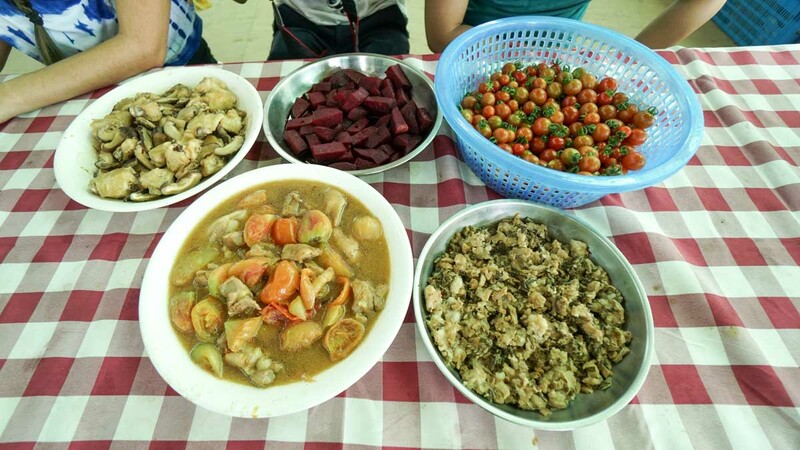 The farm had a wide variety of crops like rice, tomatoes, beetroot and rosemary. We had the chance to harvest some beetroot and I managed to get a beetroot that is the size of my face! 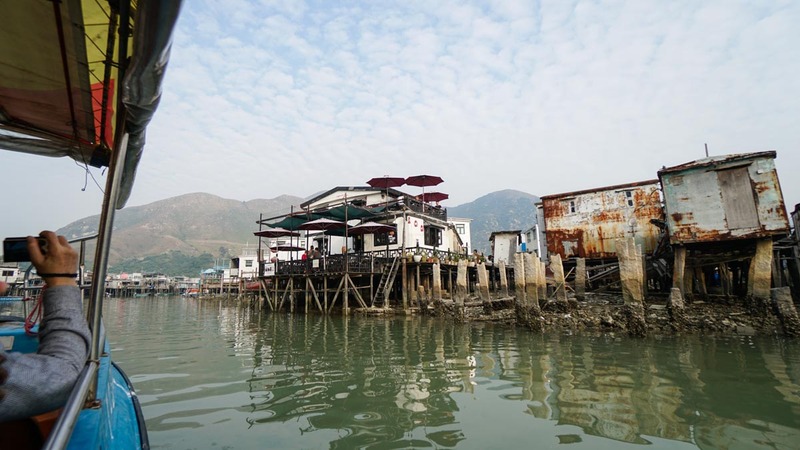 When we were done with our farming activity, we headed over to Tai-O (大澳) — a fishing village on the Western side of the island — known as the “Venice of Hong Kong”). The Tai-O marketplace has many shops set up by locals selling mostly dried seafood. 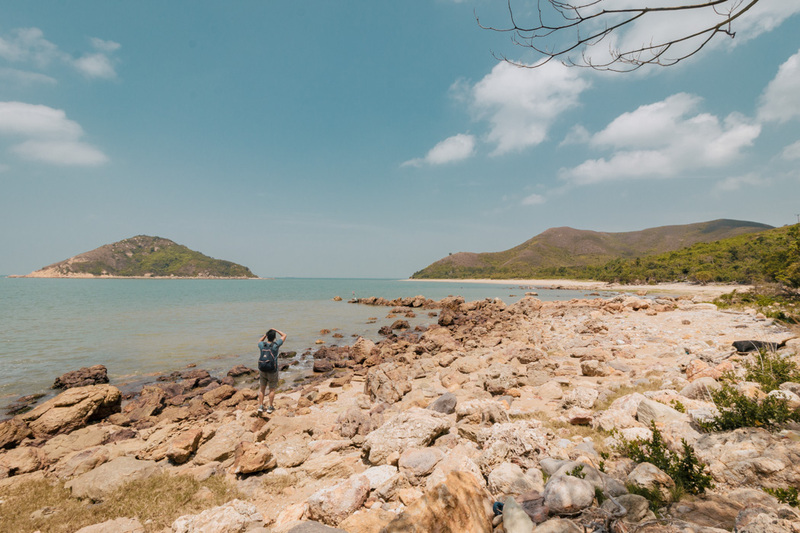 This is also the place where you can book boats to take you on “boat excursions” to find pink dolphins and get a better look at Lantau’s coastline. Be sure to try the street food! 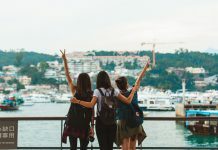 Note: Depending on flexibility and time allowance, tour routes can be customised to include the scenic Shek Pik Reservoir (石壁水塘) and Fan Lau Fort for sweeping sea views. Getting back: To get back to the city, take Bus No.1 to Mui Wo Ferry Terminal and catch a ferry (HK$31.30) to Central Pier. Alternatively, you can take Bus No. 11 from Tai O to Tung Chung, where you can catch an MTR back to the city. Time seems to be at a standstill at this cafe. 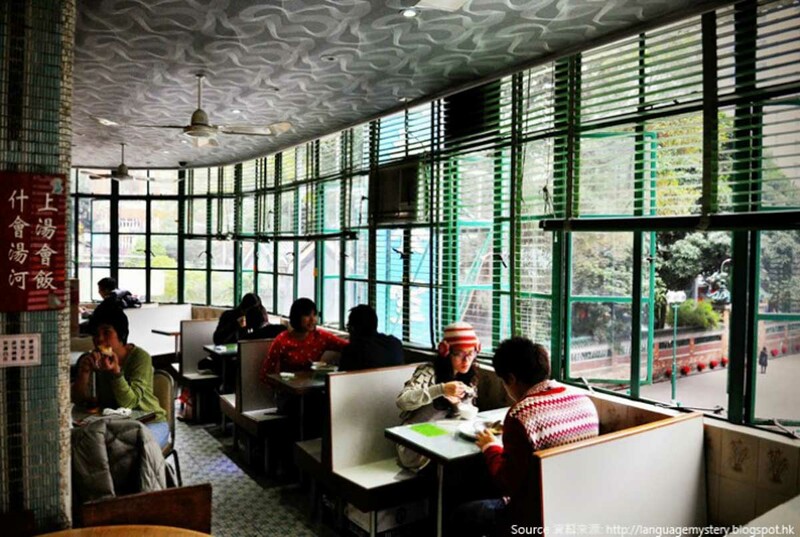 The decor in Mido Cafe (美都餐室) is as old-school as it gets, complete with tacky coloured tiles. 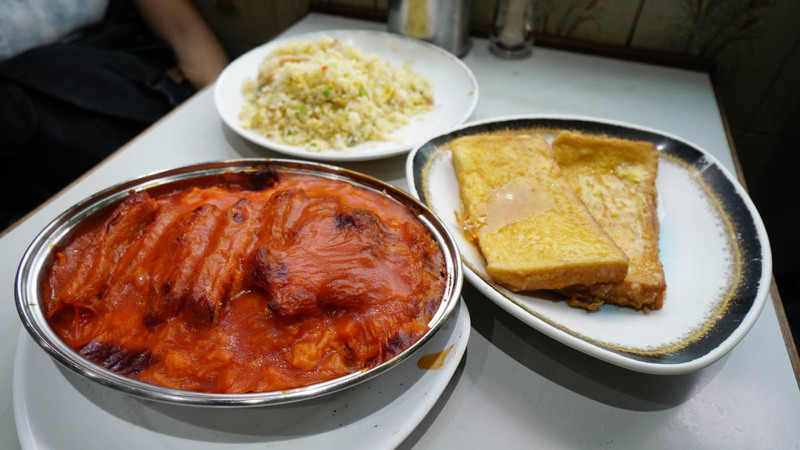 We got the french toast (HK$22), sweet and sour pork (HK$78), and chicken fried rice with minced salty fish (HK$68). Our favourite was the fried rice, which was flavourful and had a generous amount of ingredients in it. You might have heard of Mui Kee Congee (妹記生滾粥品) because they recently opened a pop up store here in Singapore last year. We got congee with shred salted pork and preserved egg (HK$29) and fish belly congee (HK$29). The portion for the congee was quite generous so could share 2 bowls amongst the 4 of us. 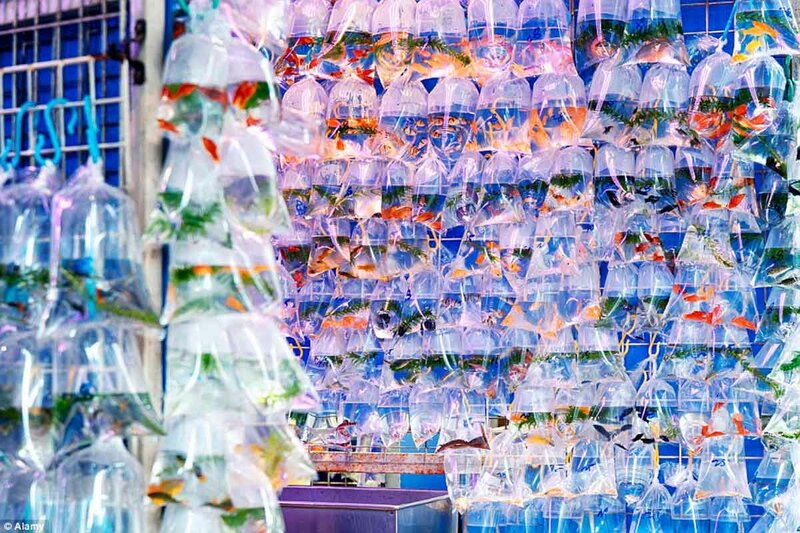 The Goldfish Market is lined with shops selling bagfuls of fish, varying in colour and size. Goldfish are often regarded as bringers of good luck, and there has been an increasing number of people that want to decorate their houses with goldfish. You can also expect to see other animals here like turtles, crabs and sometimes even snakes. While you are here, you can also check out other themed markets that are nearby, such as the flower market. 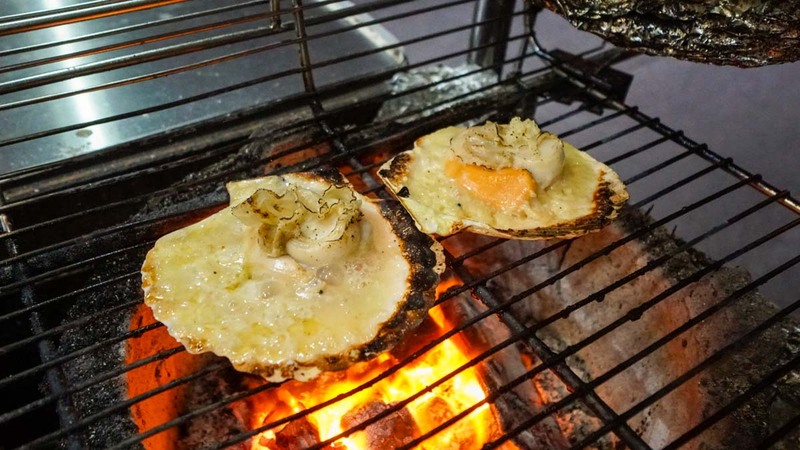 This small humble restaurant earned a Michelin star in 2012. 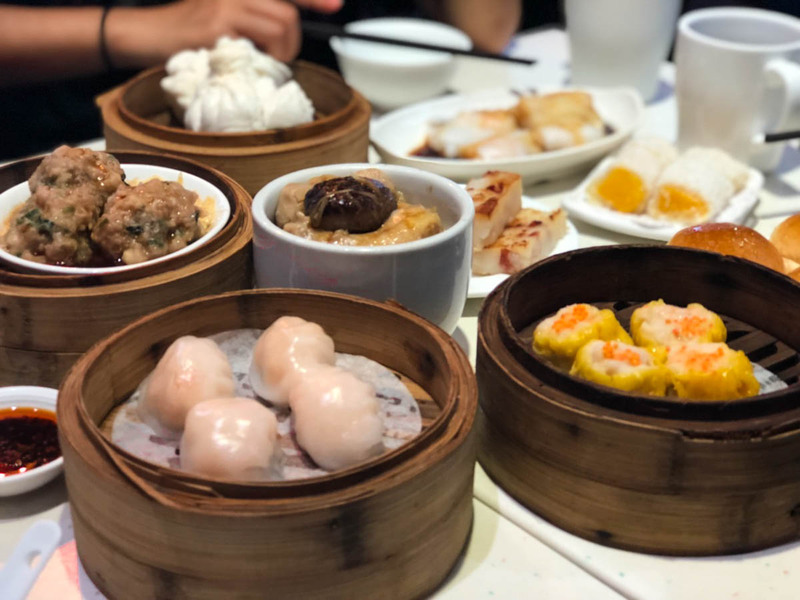 Although One Dim Sum (一點心) did not manage to retain its star, many still flock to this eatery for mouth-watering dim sum. The food here is also extremely value for money. Some our favourites were the siu mai (HK$26 for 4 pieces), steamed chicken rice (HK$27) and mango custard rolls (HK$24). The mango custard roll is a definite must-try, especially if you are a mango lover! Hop by Temple street to explore and do some shopping. Temple Street is one of the liveliest night markets in Hong Kong. You can find a whole range of items at Temple Street, from dubious home made medicines to counterfeit watches and bags. Even if you don’t buy anything, it’s fun to walk around and people watch. Opening Hours: There are no set opening hours but most stall owners start setting up at around 5PM. 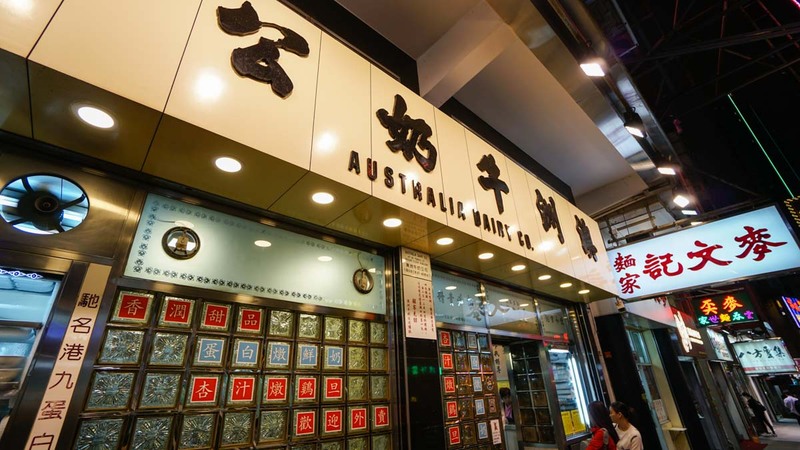 Overhyped as it is, the Australia Food Dairy is still one of the must-try food places in Hong Kong. 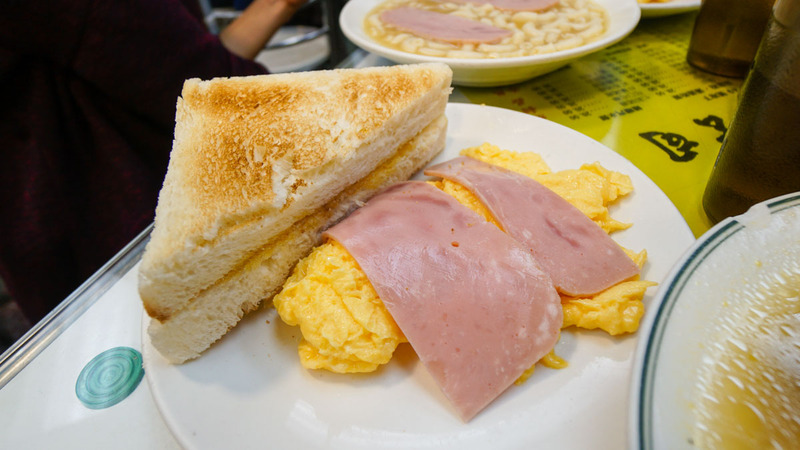 From eggs and toast to macaroni and ham, you can have all day breakfast Hong Kong stye. Address: 47 Parkes Street, Jordan, Hong Kong. 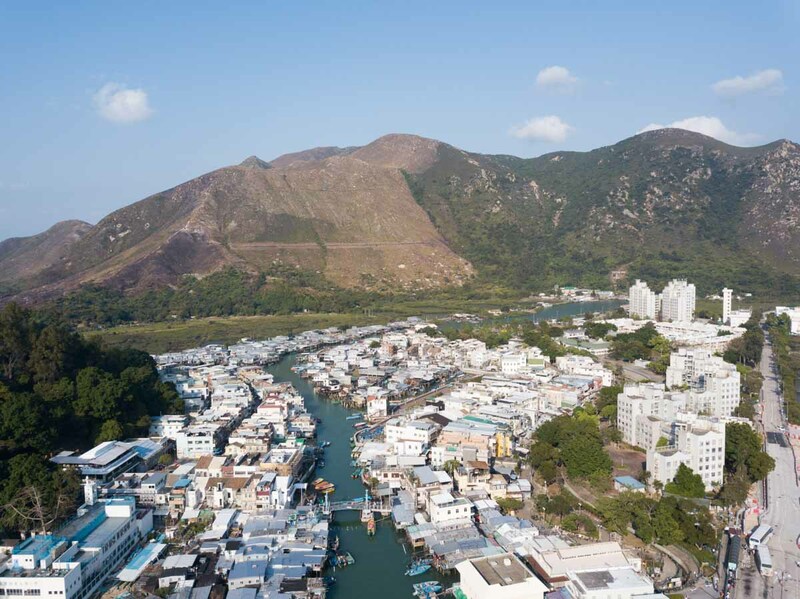 Recognised as the “back garden of Hong Kong”, Sai Kung (西貢區) is an area rich in geological features. 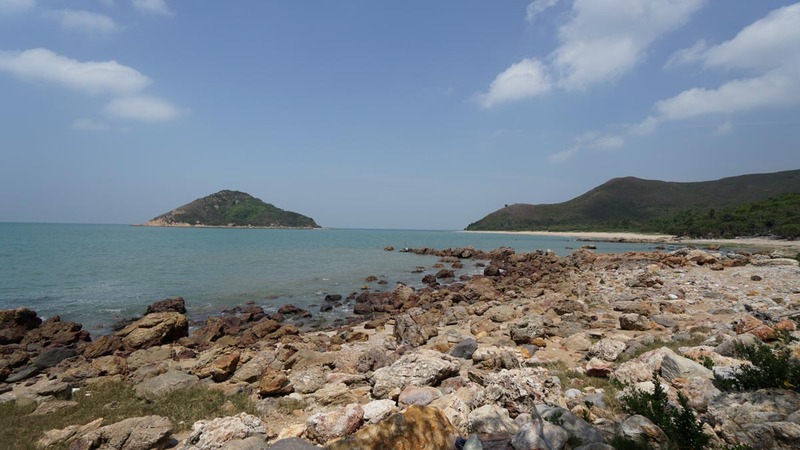 Open since November 2009, the Hong Kong Geopark comprises of eight geological sites. As the area is fairly rural with limited connection, we would recommend going on a guided day tour. 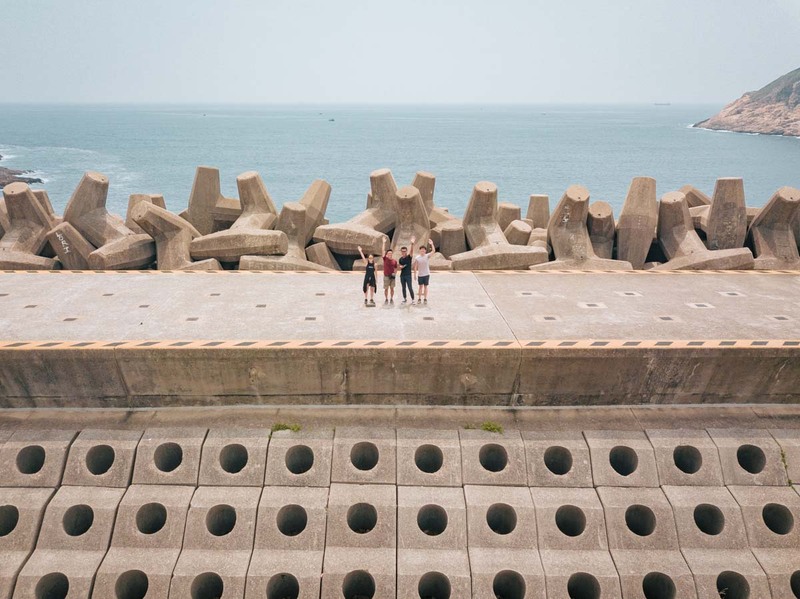 First stop, our guide took us to the region of High Island Water Reservoir (萬宜水庫), which was built in the 1970s. The construction of the reservoir led to the discovery of the magnificent rock formations in the area. 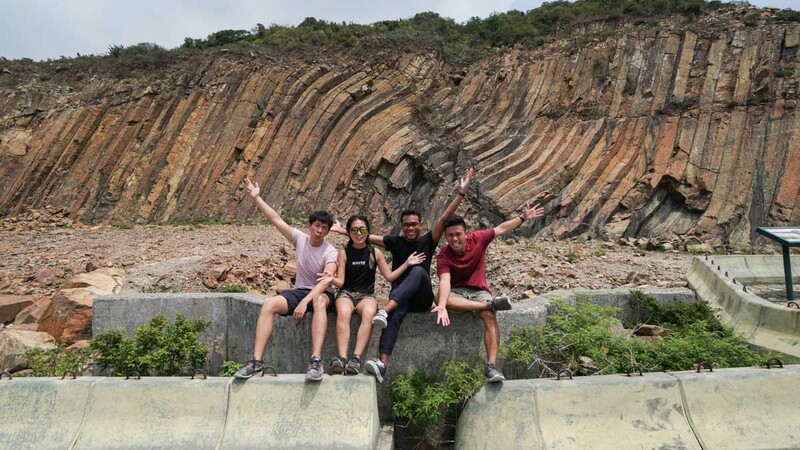 The hike will start off at Sai Kung East Country Park where you can not only see the East Dam, but also the spectacular hexagonal column joints, one of the largest geological formations in the world. Walk further down the path to view a sea cave created from the years of erosion caused by the wind and water. 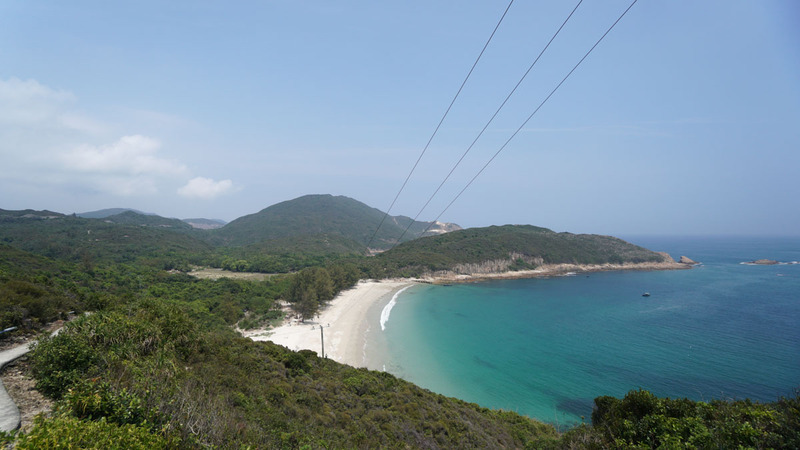 Next, we stopped by Long Ke Wan (西貢浪茄灣), a beautiful crescent-shaped beach. The tour will stop here for a break before continuing on to Sha Kiu Tau for lunch. After a 30 – 45 minutes hike from Pak Lap, you will arrive at Sha Kiu Tau, a small fishing village. 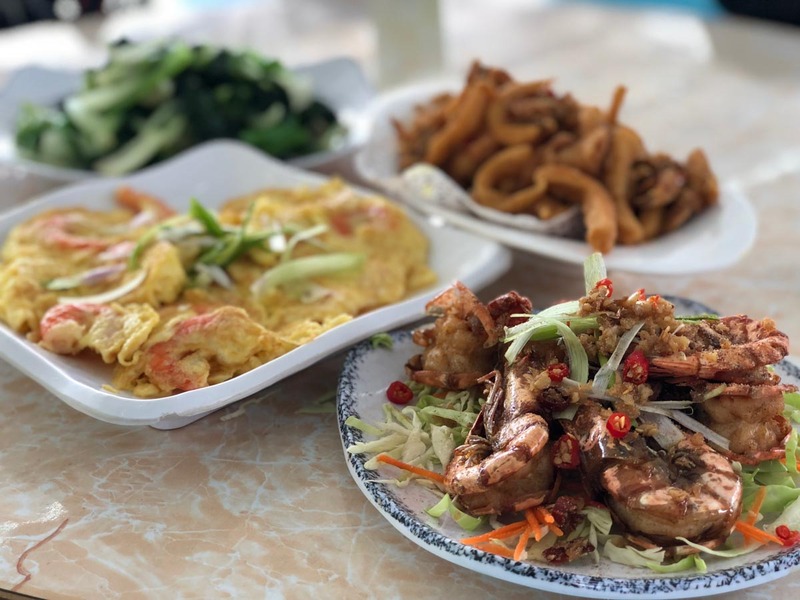 We had our lunch at High Island (Yau Ley) Seafood Restaurant while enjoying the view of the fishing houses and boats next to the restaurant. Do try the fried squid and prawns! 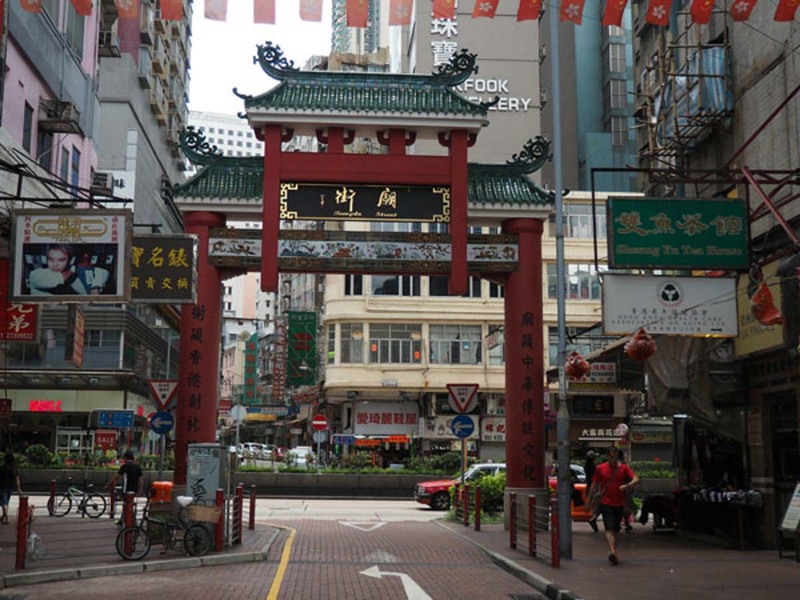 There is a Tin Hau Temple just a 10-minute walk from the lunch spot. 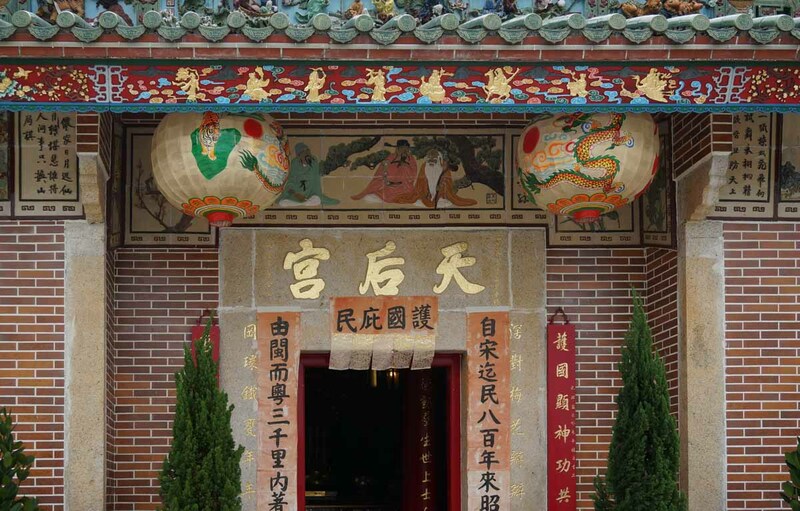 The temple was built to worship Tin Hau — goddess of the sea — to pray for good sea conditions as fishing used to be the main livelihood for the locals. You will take a short speedboat ride back to Sai Kung Pier and then public transport back to Central Station, which is where the tour ends. We really enjoyed the tour as it was informative and Stella was extremely patient with us. 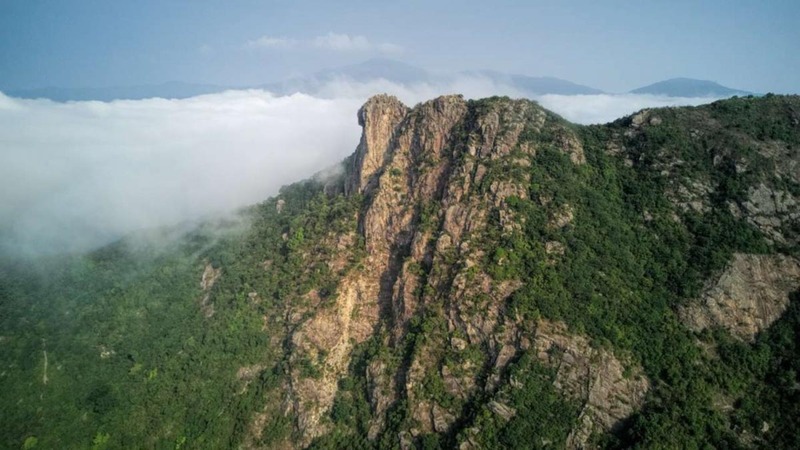 If you’re more interested in geology, there is a Sai Kung Volcanic Rock Region Tour where you can learn about the area with professional Geology guides. 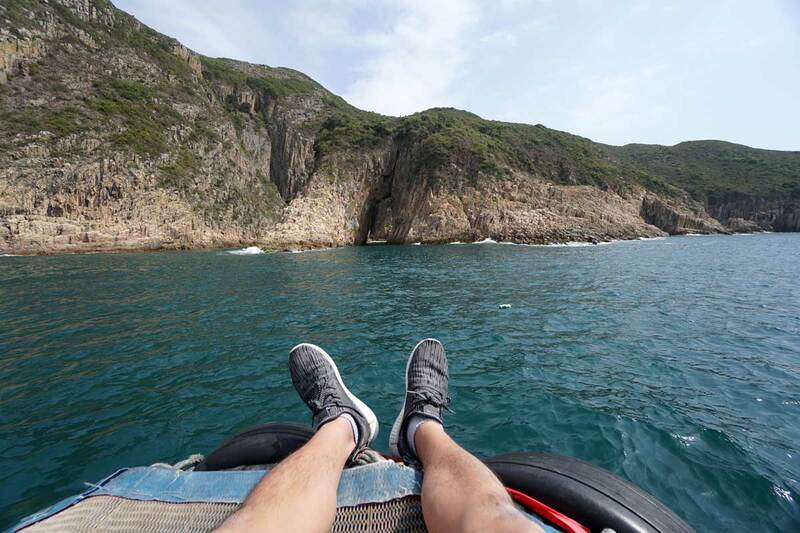 For those who prefer a more laid-back experience, check out the Sai Kung Geopark Boat Tour where you get the explore the region on along the coast instead. 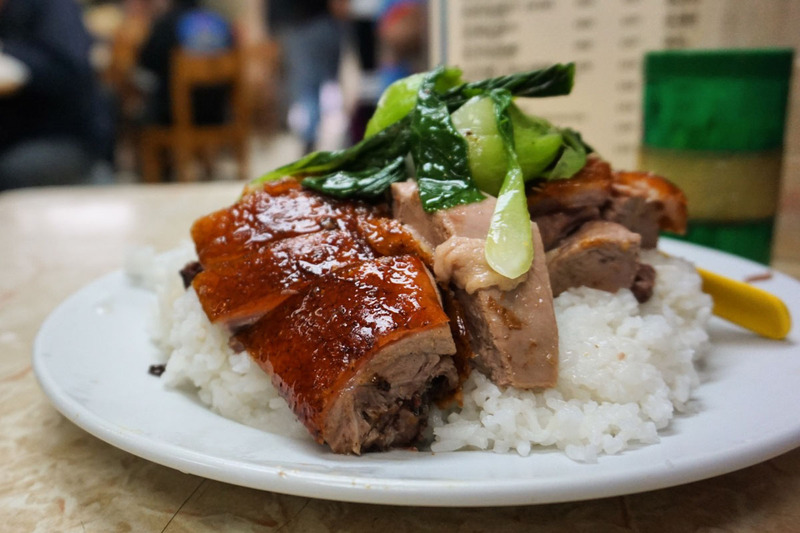 This one-Michelin star restaurant is probably one of the most famous roasted goose shops in Hong Kong. 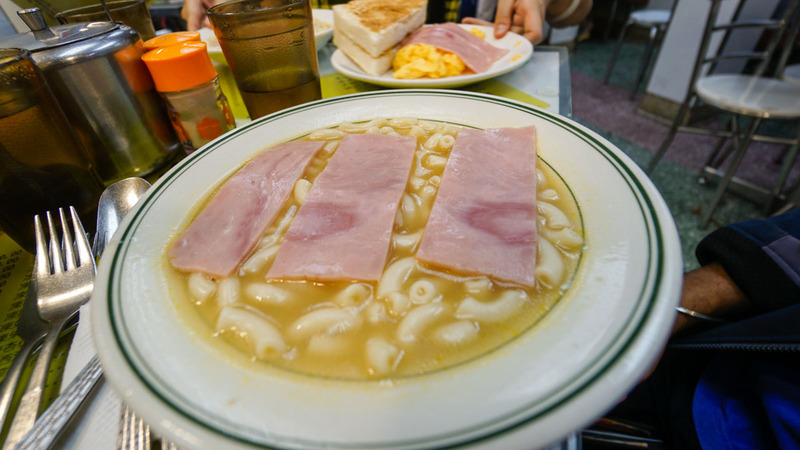 It is often said that “you have not visited Hong Kong until you’ve tried Yat Lok (一樂燒鵝).”. Be sure you try the goose drumstick with rice (HK$ 88)! Lion Rock (獅子山) is one of the most accessible hiking routes in Hong Kong to get to via public transport. Lion Rock got its name from its resemblance to a lion, and stands 495 meters above the Kowloon Peninsula. As this spot is very accessible, it can get very crowded during the weekends so try to come on weekdays for a better experience! Nearest MTR: Diamond Hill MTR Station (Exit B3), from there, you can either walk an hour to the start of the trail or take a 10 minute taxi ride (~HK$22 – 30) to the start of the trail. 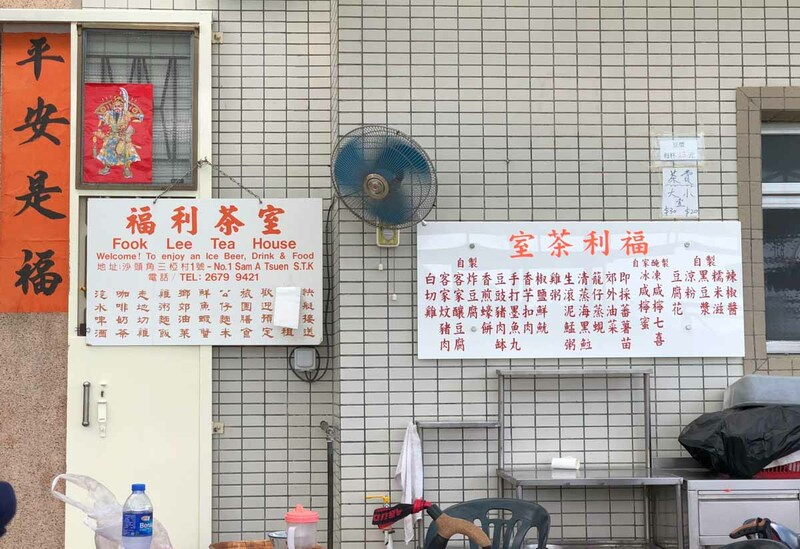 Lan Fong Yuen (蘭芳園) has been given the title “the pioneer of milk tea” and is a stall that is popular with even the locals. We tried the milk tea (HK$20 for cold, HK$18 for hot) which was perfectly paired with the pan fried chicken with instant noodles (HK$55). 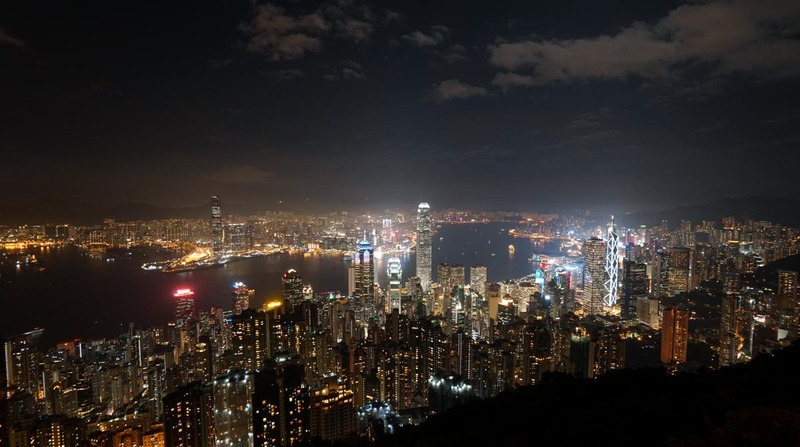 The stunning panoramic views Victoria Peak has to offer is the reason why this spot is a hit with many. 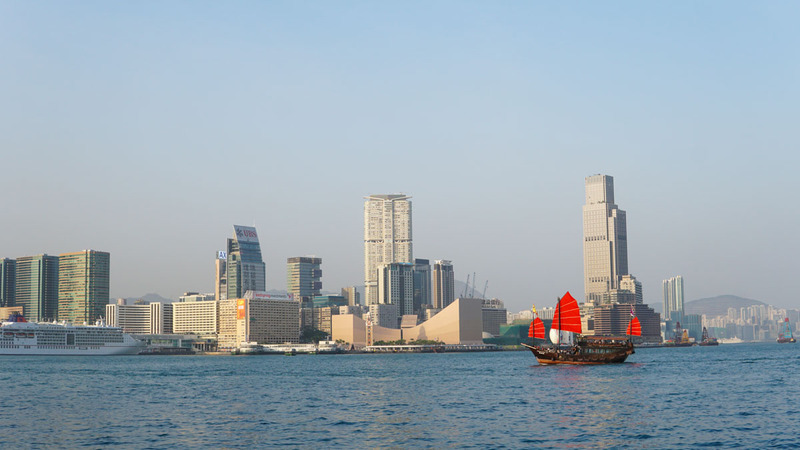 You can enjoy the best scenes of the city’s skyline as well as the Victoria Harbour here. 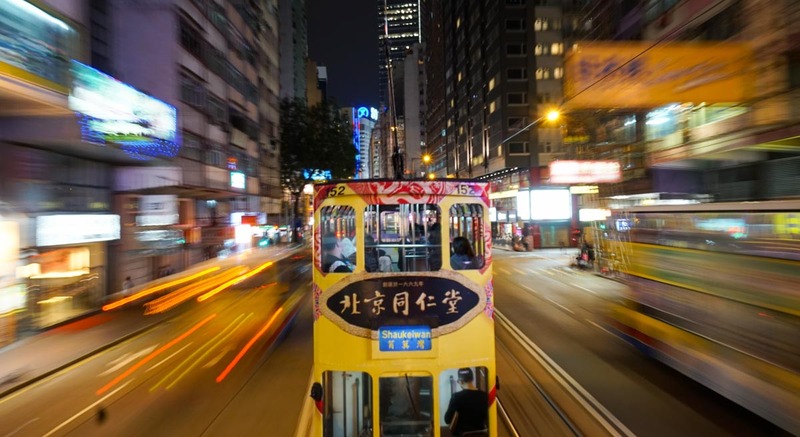 The tram ride up to The Peak is an attraction and experience itself and it offers you a different way to see the city. While you are there, you can also check out the Madame Tussauds Museum (~HK$220) and the Trick Eye Museum (~HK$135)! You can also use your Octopus Card to pay for the tram. Without a doubt, Dragon’s Back is one of the most famous hikes in Hong Kong. The easy access and beautiful views makes this hiking hotspot a popular getaway from the city. Walk through dense vegetation to the peak, with pockets for views of the city skyscrapers. 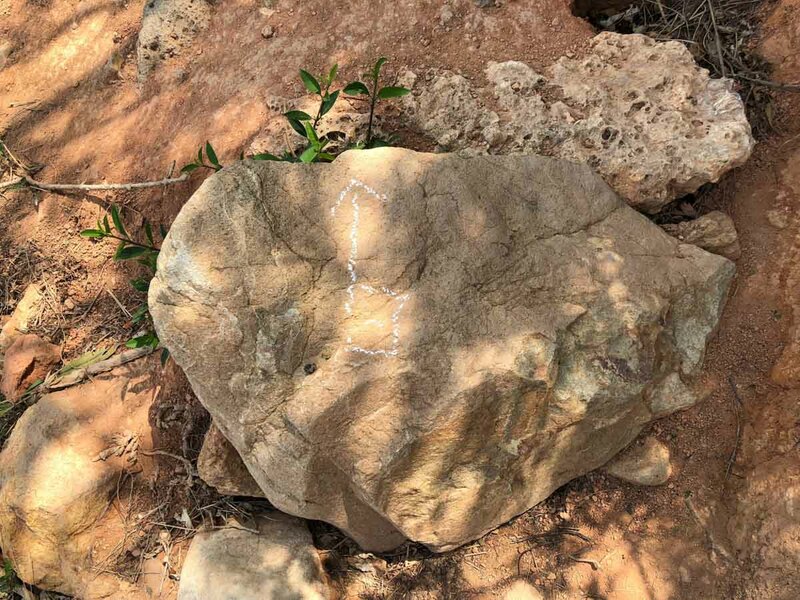 The trail is very well marked out so don’t worry about getting lost. Bring along supplies, especially water, as there are no shops along the trail. Getting There: Take the MTR to Shau Kei Wan Station and then Bus No. 9 from Shau Kei Wan Bus Terminus to To Tai Wan. Follow the signs and path to the start of the trail. 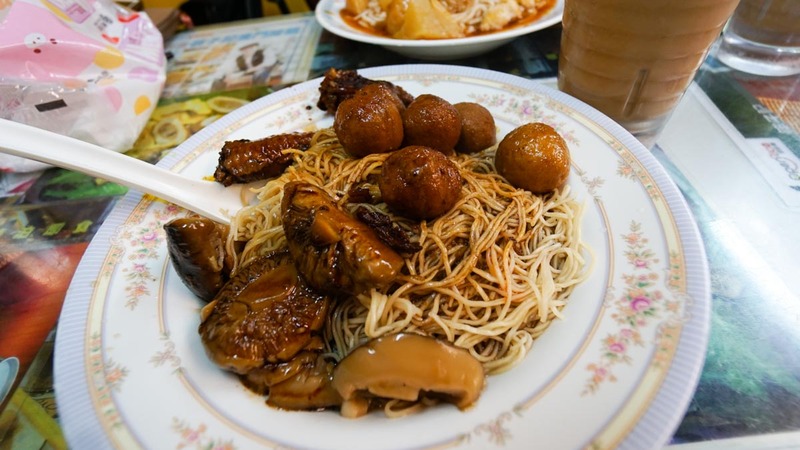 After the hike, consider heading to Chopsticks Kee in Central for a hearty lunch. Pick and match from over 30 ingredients, select your favourite type of noodles, and choose between dry or soupy. 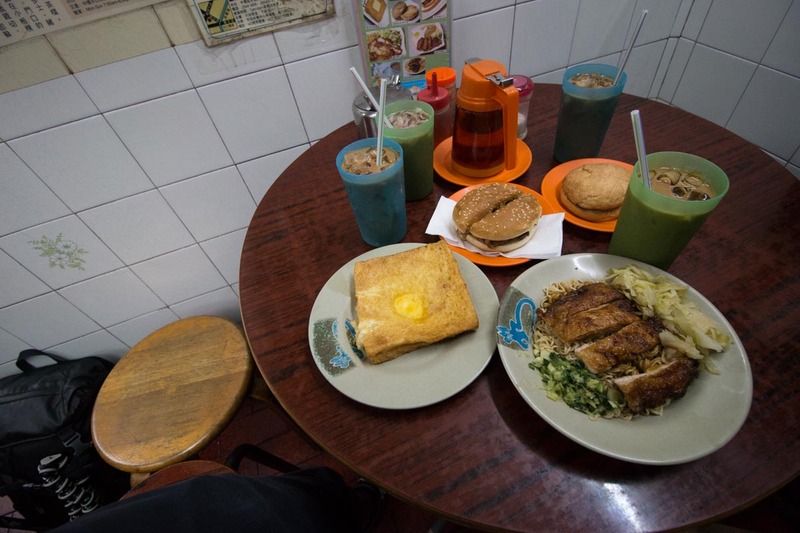 We recommend that you include the Macanese fishcakes and soy sauce chicken cause they were really good! Opening Hours: 9.00a.m. – 10.00p.m. Address: Khuan Ying Commercial Building, 85-89 Wellington St, Central, Hong Kong. Step into one of the city’s oldest neighbourhoods and explore the area steeped in history. 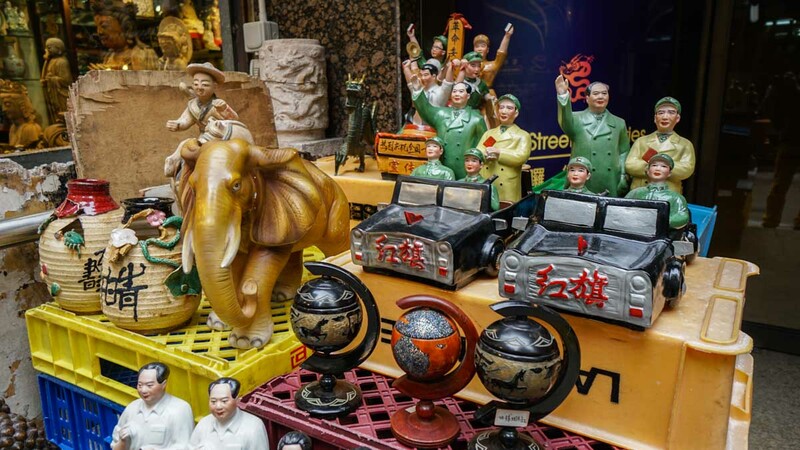 From Wyndham Street to Hollywood Road, take a stroll and experience the cultural mashup where you see the past and present blend and coexist. Here are a couple of routes you can take to discover the heritage, food, arts and culture. Be it your first or fifth visit, Hong Kong still surprises us all the same. This trip made us realise how much more of Hong Kong there is than the concrete jungle we know of. Interested in exploring more outdoor sights? 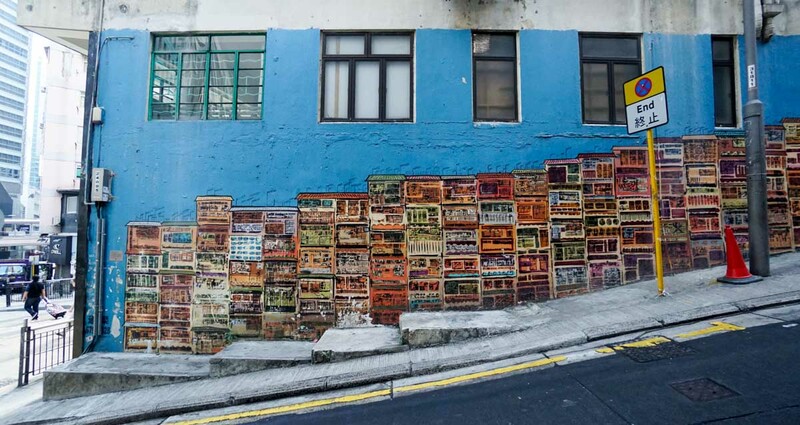 Check out these 9 lesser known sights in Hong Kong. 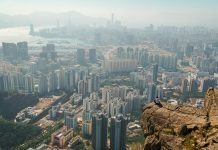 With such a great mix of urban and natural landscapes, we couldn’t have had a more eye-opening trip to Hong Kong than this. So the next time you head to Hong Kong, don’t just stop at shopping and eating. 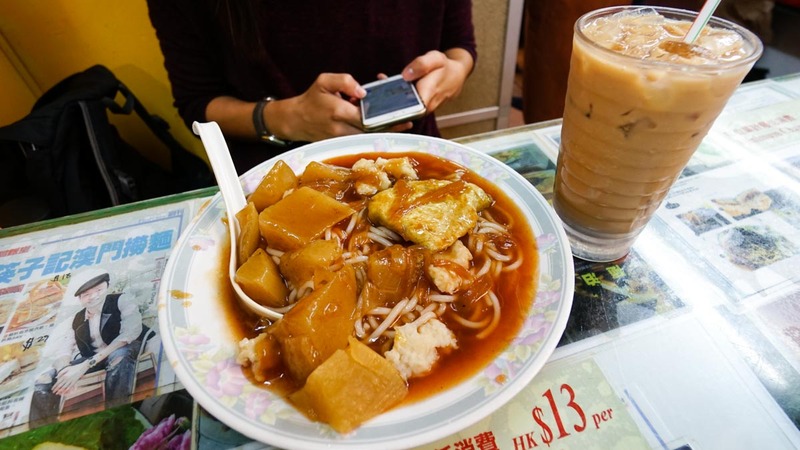 Venture out and explore different sides of Hong Kong for these gems!